Welcome to Sauna Samurai, an online guide to the best saunas, sauna kits and steam rooms. Saunas have been a part of my life since the day I was born and I want you to discover the goodness of the sauna lifestyle. My name is AJ, and I am a sauna enthusiast. I was born and raised in Europe and saunas always played an important role in my upbringing. My parents ran a sauna business for many years and they were building, selling, installing and repairing saunas for a living. We also had several saunas and steam rooms at home. Yes, more than one, I am not kidding. A little steam cabin in the bathroom, a little sauna upstairs for two people, and a larger sauna next to the swimming pool with a couple of windows. I absolutely loved the sauna lifestyle and you could often find me in one of these saunas at least once per day. I created this website to share my sauna journey with the rest of the world. I would love for other people to discover the goodness of using saunas or steam rooms on a regular basis. 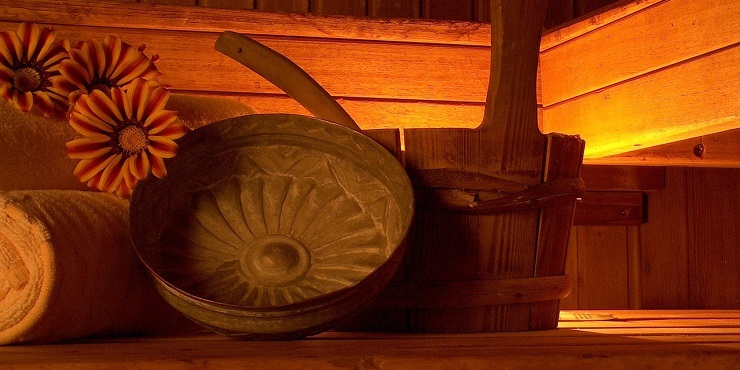 Saunas offer many health benefits, both physically but also mentally. Most of all, using a sauna is a very relaxing pastime, and sharing this experience with someone else can even lead to very deep conversations. I will also make recommendations for good saunas and steam rooms to buy, what to look out for, and what to avoid. So please keep an eye out for new updates on Sauna Samurai and join me on my sauna lifestyle journey.